So. I don't really know how to put this but as you guys may know, several people have started to quit skycade. Some of you may have noticed that I haven't been logging on recently and the reason behind that is because I too, am quitting skycade. Personally, skycade has just been getting boring for me recently. I feel like I have achieved many things during my time on skycade. I may not have completed everything I would have wished to, but many of the things would take a serious amount of time which I don't really have anymore. Most of you know me from SMP, but I did also play on factions, kitPVP and creative. Because I have become close with many people, you may see me on still, but only to talk and catch up with some friends. If I aren't on skycade, you can find me on some other servers and can still talk to me through skycade forums and discord. 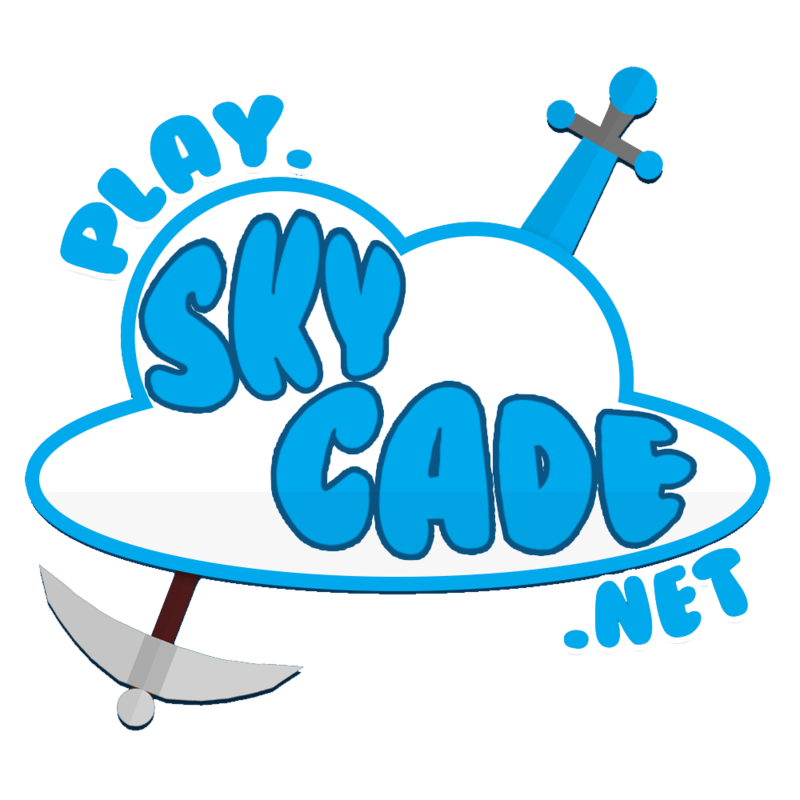 .When I first joined skycade, I thought it would be one of those servers where I would play for a couple weeks or months and then quit but I have managed a year on skycade, and I have to say it was a great year. Skycade was one of my top favourite Minecraft community's. As I mentioned earlier, I have played on several more game modes but focused on SMP so you may be wondering why don't I continue on a different game mode? For a starter, sky block isn't really appealing to me and creative has limited space and can get tiring easily to me. Prisons I have never really enjoyed and kitPVP isn't something I would go on for an hour or two most days. Last game mode is factions, which I have played a lot of in the past, and factions on skycade hasn't really been successful for me anymore, resulting in the faction SMPrandies being disbanded. However, if SMP resets or a 1.13 version of SMP is released, I might consider to come back for some time. If I do come back, I can't promise how long I will stay for. January 17th 2018-I logged onto skycade for the first time as my friend wanted to start a faction together. I managed two solid years playing factions on skycade, within that time I had already achieved many of the things I wished to do. a couple of weeks later my account got hacked the week I was away and unable to play. Many things were griefed during that time, including other players creations on SMP. When I got my account back, I wanted to fix the damage that had been created on SMP. Ever since then, I have grown friendships with several amazing people, who I am grateful for. My first ever aim on SMP was to reach perm pack, and then a pwarp. One very close friend called Huskybat helped me achieve that. Even though she doesn't come on often, I still appreciate everything she has done for me. In fact she was the first ever person I grew close with on SMP. For the first few months, I rarely spoke in chat but was eventually persuaded to try enjoy my time more, rather than not speaking and keeping what I was doing to myself. I am glad I did start speaking in chat because I made so many great friends who I still speak with today. Then I created a pwarp, which is still open today on SMP. It was run by me and husky, who spent ages profit shopping, and designing the pwarp. Skipping further forward, I don't remember the exact date but I know I had been playing skycade for at least 2 months now, I bought diamond rank. This was my first ever purchase on the server. To this day, I am still glad I supported the server, it is definitely a great server that I would recommend to someone. Skipping further because I can't remember if anything else good happened, I met atoof (itzatomic) and I am glad I did. He changed my life forever. Somewhere in October, we /married. We still are /married in game. On the 1st of January 2018 Atom asked me A question that changed everything. Majority of the people who play SMP know what it is but for personal reasons I will not say. After some time I had already completed a lot of stuff and was mainly just talking in chat. After a while, I did get bored and start making a storage area which was completed very quickly. I do not remember the exact date but it had been somewhere in December I believe, I changed my username from justcallmehol to __Ilex__. I spent the last month just talking in chat, profiting and most of the time I was offline. I have more than likely missed details off of this but this was only meant to be brief and if they were important I am sure I would have remembered. Before I begin the list, I would to thank all the people that have become close to me or helped me through some stressful and difficult times. I hope we can still stay in touch. (I apologise if I miss someone off the list I am kinda in a rush to finish this). @ClanMitchell @Shadowgamersix @Yraw @LittleMissBea @GreenDragon2014 @River0863 @itskatcraft @Bubble1118 @Oinkie oof @Smobu_ @Yraw @ShepardSheep @TessieBear76 @celxstial @AstroStqr✧. @Pug. Once again, thank you for this amazing experience, it has been truly amazing. Skycade in my opinion has one of the best Minecraft communities out there and I'm sure many of you will agree. Before I sign this off, I have already decided who to give my *cough* atoms *cough* balance to so please don't bug or spam me asking for it. The last thing for me to say is.....goodbye! Another SMP player off the list! 2: I'm not allowed to love someone then?